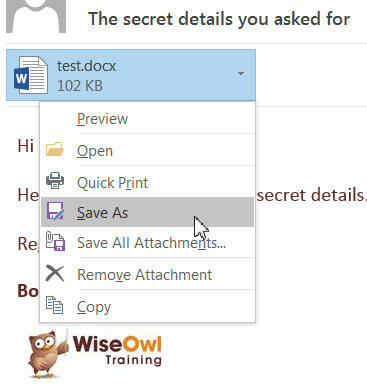 Outlook has seen more changes than any other Microsoft Office application - this pages summarises the most important ones. Since it's likely you'll be attaching a file you've just been editing, this has to be a good idea. Again, someone at Microsoft has obviously thought about this! If you have Office 365 Enterprise mailboxes enabled, there are a few new features in Outlook 2016. You can find a good list of them all here. 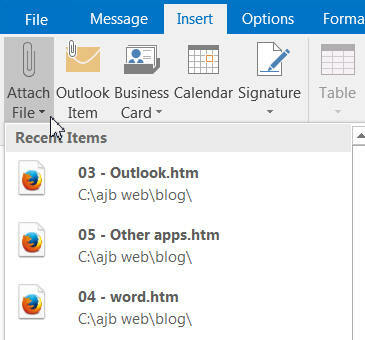 Outlook 2016 also includes a Clutter folder, into which Outlook will move emails deemed low priority, but this is only available if you have an email account on an Exchange server. A few quick steps have already been created for you. 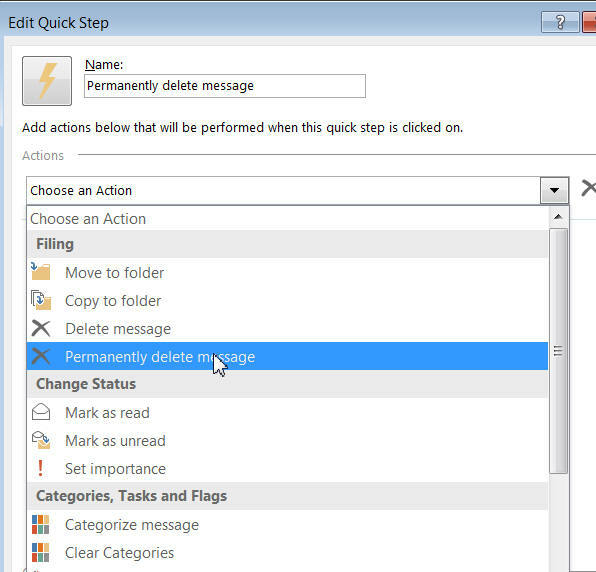 Here we're creating a quick step to delete a message permanently. Here pressing CTRL + SHIFT + 1 will run this quick step. Irritatingly, the permanent deletion warning dialog box still appears though! As the final part of this blog, I'll summarise changes specific to Access, PowerPoint, Visio and Word. This won't take long!